Derek Cowie’s practice is driven by the artist’s growing concerns about the ongoing degradation of our natural environment. Working across various mediums, and often incorporating recycled materials, found images and objects, Cowie explores the notion that we are inhabiting a period known as The Anthropocene, a geological epoch defined by significant human impact on Earth’s ecology. His paintings, drawings, and sculptural works offer meditations on environmental collapse and imagine obscure dystopian futures. In the exquisite surfaces of Cowie’s Chemical Skin paintings we envision aerial landscapes of rolling hills or ice sheets. Perhaps we are looking at a city that has been reduced to desert or reclaimed by the ocean. Or is what we’re seeing something much more intimate, even cellular? There is a sense of fragility and an unsettling, slightly sinister quality about the shifting nature of these works. Fields of colour are populated with delicately painted forms that at first appear as falling leaves or feathers, but then morph into small flames that lick the canvas, fractures and voids opening out behind them. 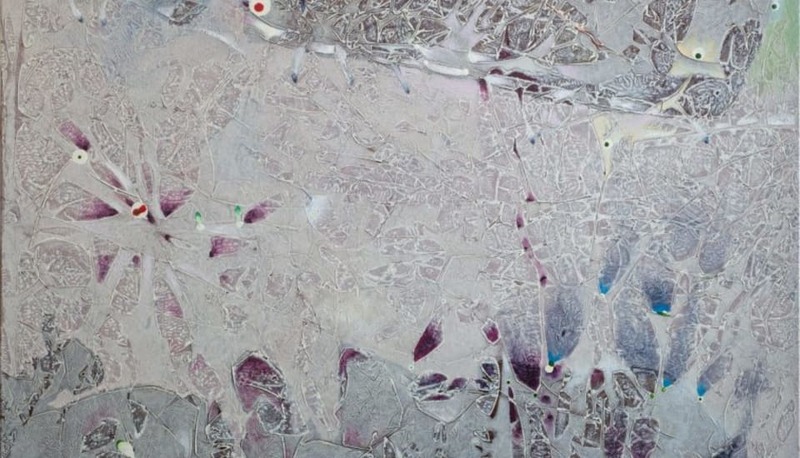 Cowie’s Chemical Skins serve as an abstract version of a cautionary tale. The artist explores this literary format in a series of darkly satirical works on paper referencing the German children's book of rhymed stories Struwwelpeter or Shock-Headed Peter (1845), a collection of rhymed stories intended to demonstrate the often violent consequences of moral deviance. In other works we see the reappearance of Cowie’s Condemned Man; a figure inspired by Victor Hugo’s novella The Last Day of a Condemned Man (1829), and whose bald head and wild or downcast eyes have appeared over several decades, a kind of personal alter-ego. There is an inherent tension that is evident throughout Cowie’s practice – a push and pull between the artist’s own reckoning with the prospect of total environmental obliteration and a nagging sense of optimism about the future. Cowie acknowledges that we cannot reverse the irreparable damage humankind has already done to the planet, but he asks that we attempt change, and to make the best of the mess we have made.